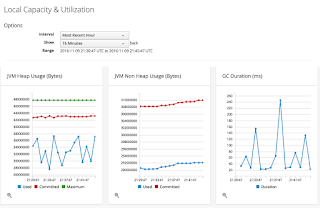 brings many new features to Cloud Suite! This week it was announced that the newest addition to the Cloud Suite management layer, CloudForms 4.2, was available for all to enjoy. There are many cool and new things to get excited about with over 1800 improvements added to the product. CloudForms is the Cloud management platform for the Cloud Suite product, providing you with the ability to deploy it federated across regions for centralized administrative actions, but also to execute actions in local regions. Are you looking to get a feel for the challenges that CIOs face and must embrace? 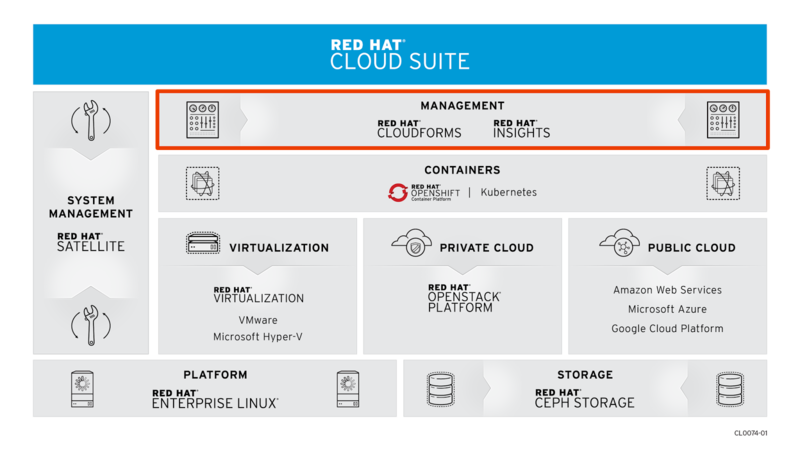 Do you want to see how various use cases can be easily solved with open technologies within Cloud Suite? Ready to start building your very own digital foundations to ensure a smooth digital transformation for your organization? Scaling into the pubic Cloud was never easier! All these and more are possible with the help of Cloud management tools like CloudForms that are able to bring this all together without your operations departments losing the overview of their infrastructural architecture. 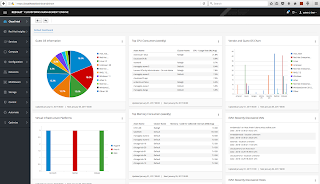 Some of the more interesting features include new network providers for public clouds, a new storage provider, uniform dashboards and reports, and performance and responsiveness enhancements reducing page loading by 90% or more (0.5 sec for 20,000 VMs in a report). 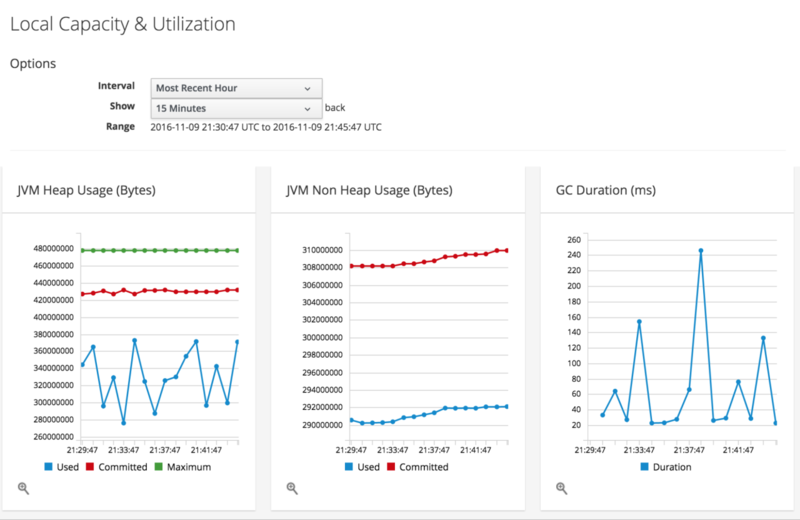 These are but a few of the new changes and I wanted to share one of my favorites, a technical preview for adding middleware as a provider to generate all kinds of new reports around your JBoss middleware applications in the Cloud. So now that you have this great management tool, what next? I wanted to make sure you got the chance to play with this in the easiest way I know how, based on the same demo template I provide for many other fantastic AppDev in the Cloud examples. 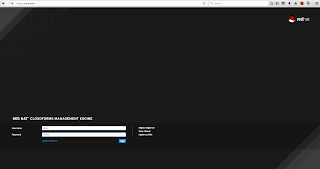 I found a great project that pulled CloudForms together with a great data set into a container (thanks to Michael Surbey, Inside Partner Solutions Architect online @ecwpz91), allowing us to install and run this on any machine that can run containers. 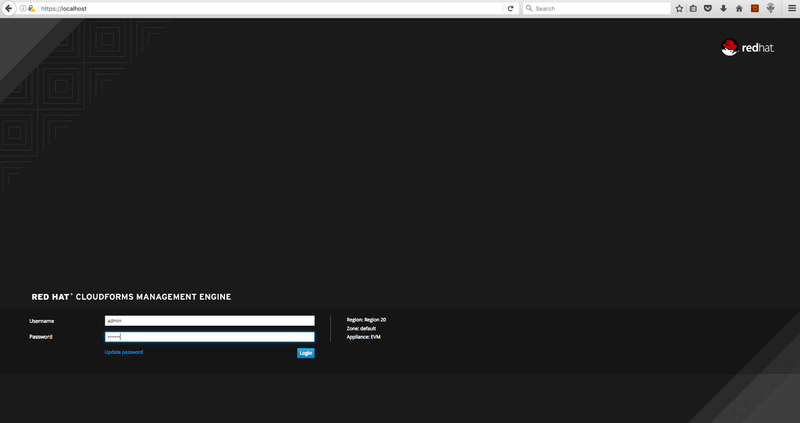 Running and available on https://localhost for you! 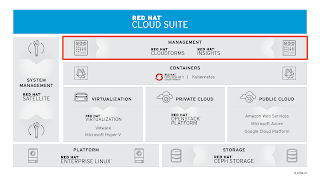 Install your very own local instance of the Red Hat CloudForms, the management tool of choice for Red Hat Cloud Suite infrastructure solutions. This project requires a docker engine and some patience for the database to be populated after starting up the containerized CloudForms instance. There will be checks during installation and I point you to what is missing. It also checks that you have the right versions running too. Follow displayed instructions to log in to your brand new Red Hat CloudForms! Hope you enjoy this container install with CloudForms and can experience the management features on your very own local machine. Comment and feedback welcome in the project.